To me, Cuba has always been shrouded in mystery and yet is full of romanticism. 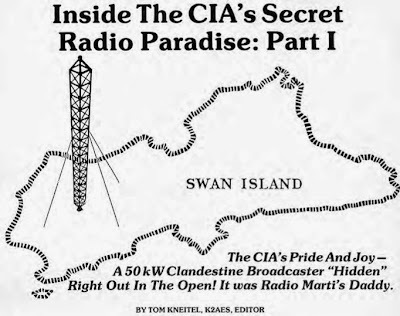 Its music and culture combined with its history of being a semi-closed state both during the Cold War and more recently have made it into one of the more exotic locations to try to catch on the airwaves. It was one of the first countries to have radio and television in the Americas. There was media censorship in place before the Cuban Revolution, under the dictatorship of Fulgencio Batista. During the early years of the revolution there remained a number of media outlets that opposed Fidel Castro's new regime, until the Cuban Broadcasting Institute was firmly established. There are three radios for every ten Cuban citizens. Computer ownership was outlawed until 2007 and Internet access is still amongst the most expensive in the world, adjusted for the median monthly wage. 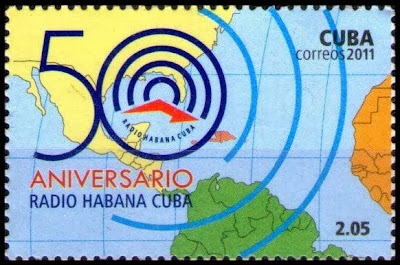 Cuba has one international radio broadcaster, Radio Habana Cuba (RHC), and several clandestine stations broadcasting at it (more on those in a moment). There is plenty of information about RHC on its Wikipedia page (and even more in this paper about the history of the station) although one thing that stood out for me is the fact that during the Cold War it relayed (propaganda) news items from Vietnam, North Korea and the USSR after receiving teletype bulletins from those countries (retweeting, the old school way). These days, RHC broadcasts towards several regions: the USA (in English and Spanish), Europe (in French, Portuguese and Arabic), Central America (in English, Spanish, French and Creole), South America (in French, Spanish and even in Quechua - the language of the native populations of Bolivia and Peru) and Africa (in English). For a small country, such broadcasting schedule is ambitious and shows an impressive regional and international reach. 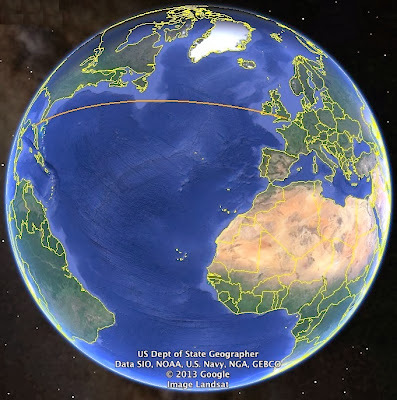 Oddly, there seems to be no dedicated broadcast directed at Europe in English or Spanish and the easiest way to catch either in London is to tune in to their beam directed at New York on 6060 kHz from about 0220 UTC (after The Voice of Islamic Republic of Iran stops interfering with the signal on the same frequency). At 0500 UTC the programming switches from Spanish into English. The short path between La Habana, Cuba and London, UK. It is easy to see why the New York beam might offer some hope of reception in London. There are some other programming gems, such as El Mundo de la Filatelia (the world of stamp collecting), the likes of which one would be hard-pressed to find elsewhere, as well as regular extensive features on the Cuban healthcare and education systems. The station does have Internet streams for both its international and Spanish broadcasts. However, they are frequently offline and their audio quality is often actually worse than the shortwave transmissions, especially if you are located in an interference-free area (sadly, not in my case) and have a good antenna. You can get the latest list of Radio Habana Cuba's frequencies here. The above snippet contains a segment on Pope Francis's birthday dinner with the homeless and a brief description of the US immigration system. 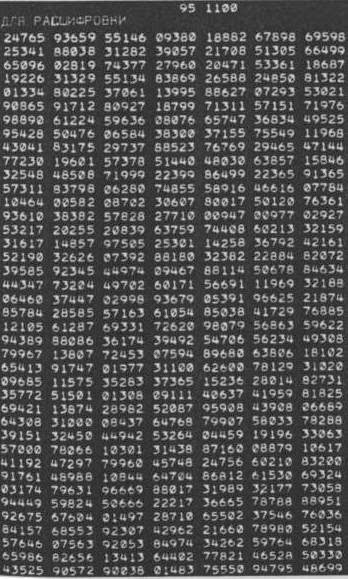 A numbers station is a shortwave station that transmits a sequence of encrypted messages, usually in the form numbers read out by an automated voice. During the Cold War, such stations were very active on both sides of the Iron Curtain and it is hypothesised that they were used to send ciphered instructions to spies. Cuba operates a network of these stations, and they have previously been implicated in Cuban anti-US espionage cases. In 2001, Los Cinco (the Cuban Five) were tried and convicted of spying for Cuba in the United States. 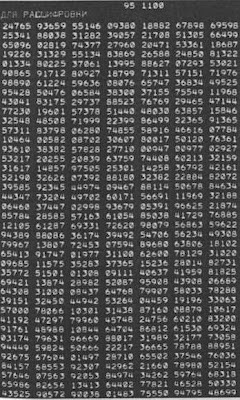 It is alleged that the group had received and decoded messages that had been broadcast from Cuban numbers stations. By complete chance, I stumbled across one such station that is actually very interesting. The numbers, spoken in Spanish, are followed up by shrieking modem-like tones (for those who remember the dial-up days of the Internet). It might come across as amusing to find spies employing this somewhat dated way of obtaining information in our digital age. It does, however, offer one huge advantage: the recipient leaves no trace of ever having received the message! 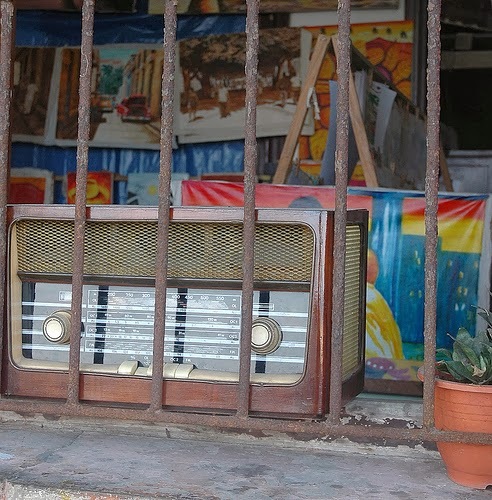 It goes without saying that I will keep tuning in to Cuban radio. In fact, the whole concept of using this older way of listening somehow feels distinctly Cuban. Earlier today, the official memorial service for Nelson Mandela was held at Soweto's FNB stadium in South Africa's capital, Johannesburg. I managed to catch and record Channel Africa's shortwave broadcast on 15235 kHz at 17:00 UTC that reported on the occasion and detailed some of the late leader's biography. Channel Africa is South Africa's official international radio station that transmits out of Meyerton. Click here to download the recording.